Pictured are Elizabeth Jaster, City of Garber; Melissa Schilling, City of Garber and Alpine Communications; and Chad Kuehl, Garber Fire Department. 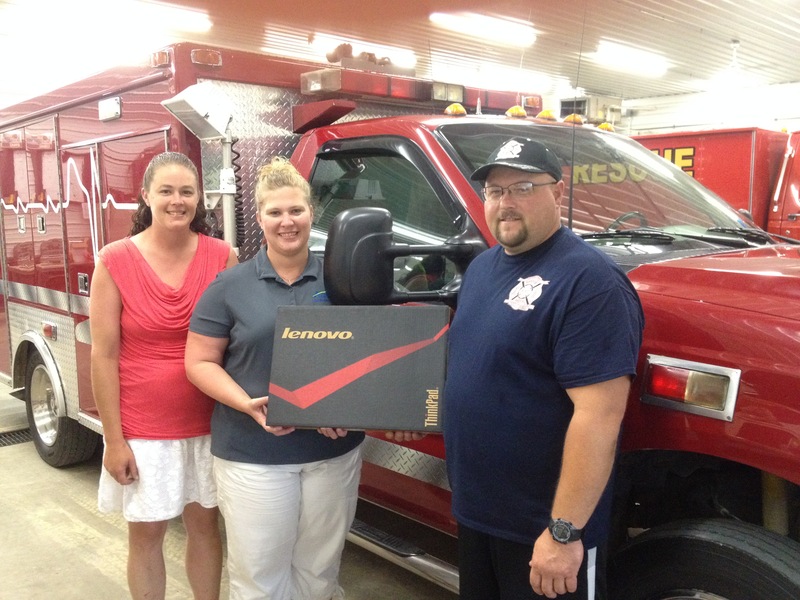 Alpine Communications recently awarded an Alpine Technology Grant to the Garber Fire Department. The grant awarded was valued at $848.00 including a Lenovo laptop computer, memory upgrade, and computer set-up service. “The Garber Fire Department will use the laptop for training, internal communications, and community outreach. We are thrilled to support the Fire Department’s use of technology, which will enhance the quality of life and safety in our community,” said Chris Hopp, Alpine general manager. The Alpine Communications Technology Grant Program was established to provide technology tools and communications services to nonprofit organizations. Alpine has donated over $100,000.00 in the form of grants and scholarships to the communities we serve since 2004. Alpine Communications invites public and private non-profit agencies to visit www.alpinecom.net to review the new Alpine Communications Charitable Giving Program grant application. Technology grant applications are reviewed as they are received. Organizations interested in submitting a grant application should contact Chris Hopp, Alpine general manager, at (563) 245-4000. ← Internet problems? Check your equipment.